TEMPE, Ariz., September 20, 2018 – ProCopy Office Solutions, a Tempe based Office Technology Company has announced that their President, Mike McGuirk, has been selected as a member of the Board of Directors to the Arizona State University Alumni Association. Mr. McGuirk is a 1982 graduate from the WP Carey School of Business. Prior to joining ProCopy, he was President of Xerox owned Arizona Office Technologies. Mr. McGuirk has stayed close to his ASU roots, particularly with his affiliation with Lambda Chi Alpha Fraternity where he served as Vice-President. Since joining ProCopy as an equity partner and President, the company has been a sponsor and partner of Sun Devil Athletics. In addition, the ProCopy Foundation established a scholarship through the WP Carey School of Business named after his business mentor Gary Clancy. Mr. McGuirk currently serves on the Board of the Better Business Bureau, and Business Technology Association (BTA) as well as the National Advisory Council for Ricoh. He is a Member of the Tempe Diablos and the Executive Association of Greater Phoenix. “The support and involvement of Arizona business leaders like Mike McGuirk speaks volumes to our success in this community. We are happy to have him on the board and look forward to a great year of innovation and collaboration,” said Christine Wilkinson, Senior Vice President & Secretary of the University / President of the ASU Alumni Association. The support and involvement of Arizona business leaders like Mike McGuirk speaks volumes to our success in this community. We are happy to have him on the board and look forward to a great year of innovation and collaboration. Arizona State University is currently one of the largest universities in the country with an enrollment of over 72,000 and 5 Campus’s in the Phoenix metro area and 4 Regional Learning Centers around Arizona. ProCopy is a trusted document imaging products and solutions provider that helps reduce the complexity associated with technology selection. Headquartered in Tempe, Arizona, ProCopy’s mission is to provide the best customer experience and provides the most comprehensive Written Guarantee program in the industry the includes a 2.5-hour response time and free after hour support. ProCopy ensures the total solution with a strong focus on helping an organization reduce cost and increase revenue. The company has been named by the Phoenix Business Journal as one of the “Best Places to Work,” selected as an Inc 5000 company multiple times, and one of the top 50 dealerships in the office technology industry. 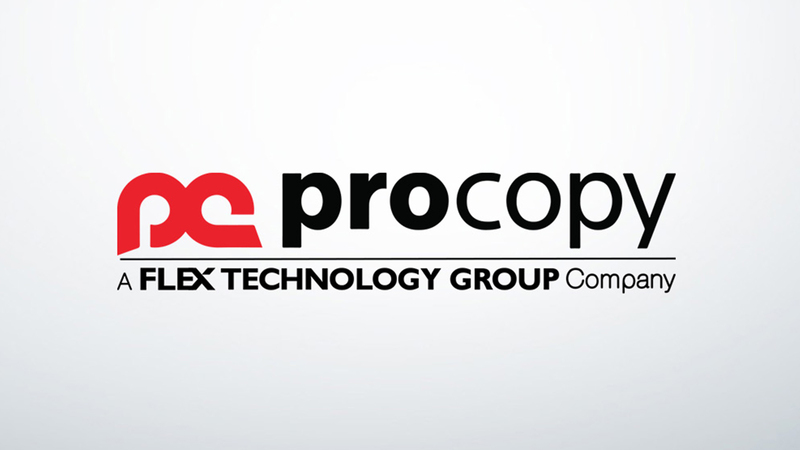 In 2016 ProCopy became part of the Flex Technology Group. For more information, visit www.procopyoffice.com.